GET 37% MORE FROM YOUR SAW WITH RIPPER37! Have you ever wondered what your sawmill could really achieve with a great blade? Ready to unleash the true potential of your sawmill? Then switch to Ripper 37 blades and start to reap the rewards instantly. No other blade cuts straighter, harder or faster direct from the box. What’s more, Ripper37 lasts 37% longer than the competition! 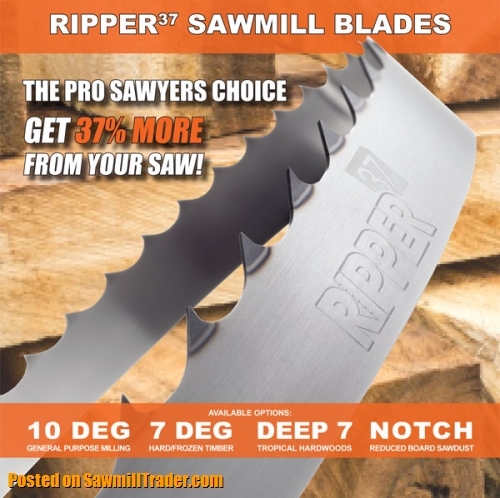 Ripper37 is the ‘pro-sawyers’ choice…order yours NOW!